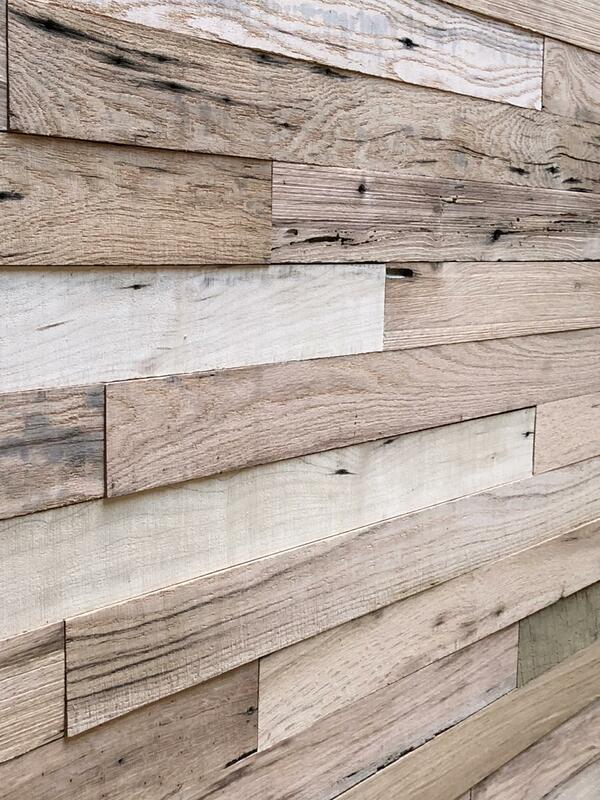 We offer our reclaimed wall planks in two widths: 3” and 5”. Choose which width you would like and enter the number of boxes you need to complete your job. There are 20 square feet in each box. Mix and match colors and widths to create more variation or keep it all the same for a more uniform look. 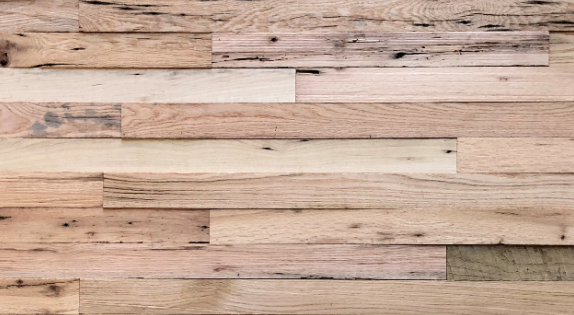 Our Reclaimed Natural Barnwood Paneling is made from authentic reclaimed barn siding and features the beauty and texture of reclaimed wood. Our wall planks are easy to install, requiring no milling on site – simply pull it out of the box and nail it to your wall with your choice of finish nails. Completely transform your space in a day! These planks can also be used on cabinets, ceilings, furniture and for a wide range of DIY projects. 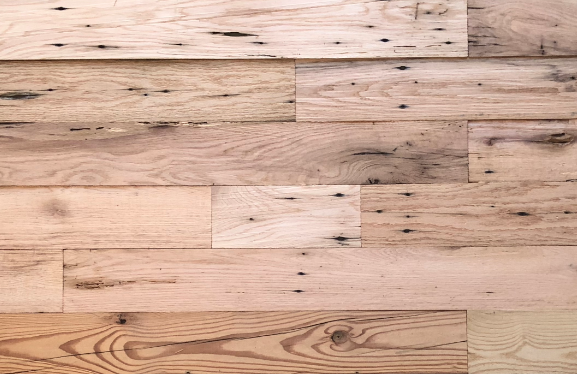 Our Barnwood Paneling is milled specifically for accent walls, ceilings and other applications where you would like the look of real, authentic barnwood in an easy to install form. We make our Barnwood Paneling at our mill in Monroe, Georgia from wood reclaimed from houses, barns, and mills of America's Heartland. Each plank is a piece of our collective history and we are proud to offer it to you for the next chapter of its story. Each plank has been denailed, kiln sterilized, milled to width and thickness, brush cleaned and cut square on each end.